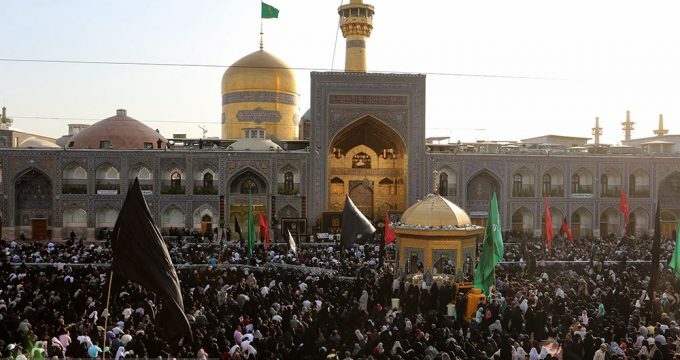 Tasnim – Two and half millions of Shia pilgrims across Iran are walking toward the holy city of Mashhad, northeast of the country, to attend mourning ceremony on the martyrdom anniversary of Imam Reza (AS). Millions of Iranian Shia pilgrims are walking towards the holy city of Mashhad to attend the mourning processions which marks the martyrdom anniversary of the eighth Shia Imam, Ali ibn Musa al-Reza (AS). Black-clad mourners from various social classes and age groups as well as Shias from other countries will come together in Mashhad mosques as well as places of worship and religious sites nationwide to observe the rituals on the anniversary of Imam’s martydom.